The suppression and persecution of Biafrans home and abroad by the Nigerian government. At the end of the Biafran War many experts came to the conclusion that genocide had been committed against the Igbo by the Nigerian government. In an effort to suppress the scandal, the Nigerian government with some help from Great Britain worked frantically to cover up the news about the atrocities. For almost fifty years that effort paid off. The crime of Biafran Genocide was carefully hidden away from the public. 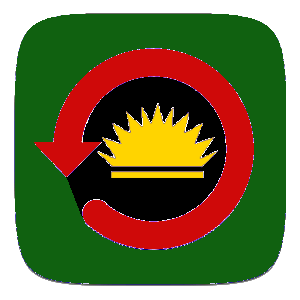 However, today 2016 the agitation for the restoration of the defunct Biafran state is in the news again. This is coming nearly half a century after the country’s demise in 1970. After suffering a pogrom in which more than 100,000 of their people were killed by Nigerian civilians and various security forces of the Nigerian government, Igbo people with other southeasterners who also were affected in the killings declared an independent Biafran state in mid-1967. Immediately following the secession the Nigerian state levied a genocidal war of aggression that lasted two and half years against Biafra. With the help of Great Britain, USSR (Russia) and Islamic Arab states; all those countries supplied arms to Nigeria and the war resulted in the genocide of Igbo people. The war was prosecuted with the declared intention of wiping out the Igbo from the face of the Earth. By the time the war was over a quarter of Igbo population, that is 3 million of them were further exterminated. About 2 million of the casualties died from starvation resulting from the Nigerian government official policy of “hunger as a legitimate weapon of war.” Almost fifty years after that horrific genocide which tends to have been largely forgotten by much of the world community, a new generation of Igbo people who are majorly Animists and Christians are reviving the call to free themselves and territory from the largely Islamic state of Nigeria. A close look at most of the people who are championing the new struggle to separate Biafra from Nigeria reveals that they either did not witness the Biafran War or they were mere children during the war. For this reason some people have asked the question; why are people in this age bracket bent on defiantly reviving such a horrific episode and experience in their history half a century on. Some people have argued that it has something to do with the fact that the Nigerian government barned the teaching of history in Nigerian schools soon after the Biafran War. People were prohibited from mentioning the name, “Biafra” for many decades afterwards. The government wanted to hide the genocide permanently from public consciousness. As a result, subsequent generations which did not witness the war are unable to appreciate fully the devastating impacts of the war on their parents’ generation. But since the years following the war even the generations of Igbo people who did not witness it are being punished and marginalized by the Nigerian state. And this is part of what is fueling the independence protests. Remembering how horrible the war was, people like the current Muslim President of Nigeria Muhammadu Buhari who incidentally fought on the Nigerian side to defeat Biafra have asked the new agitators for a revived independent state of Biafra to forget it. Of course he did not find it necessary to express any remorse about the Igbo Genocide which he helped to orchestrate. He instead believes that the people will just forget just because he asked them to forget the heinous crime that was committed against them. Insensitively, the president went on to argue that the agitators are doing this because they did not experience or witness the war. This has made many observers to interpret Buhari’s highhanded response by killing the peaceful nonviolent agitators as his way of trying to teach the “inexperienced” agitators a lesson. In the past one and half years Buhari has rolled out, on many occasions, the full strength of his country’s military force to violently suppress the peaceful nonviolent Biafran independence movement. The human rights organization; Amnesty International reports that since the advent of Buhari administration in 2015 till now – the tail end of 2016, Nigerian government has killed more than 300 Biafrans and wounded many more while they held peaceful protests for Biafra’s independence. 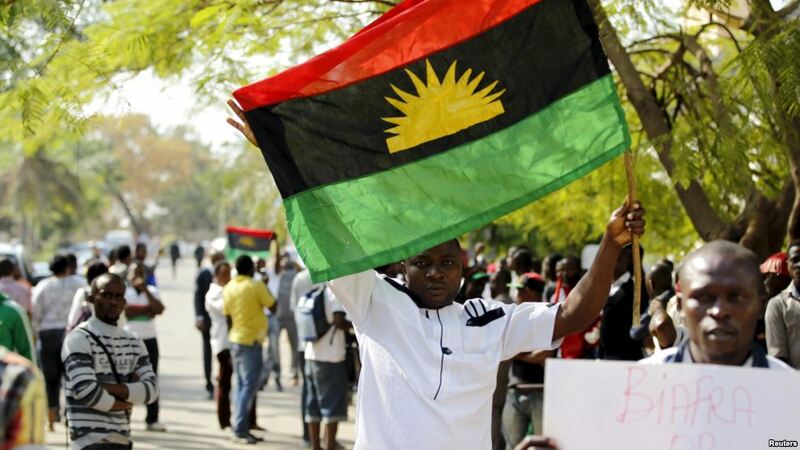 Amnesty International says that many of those pro-Biafra protesters were shot and killed in their sleep and others while they gathered in churches to pray. Many of the protesters were shot and killed from behind while they tried to escape. The fact is that the peaceful protests for the separation of Igbo territory (Biafra) from Nigeria has been going on since the year 2000. 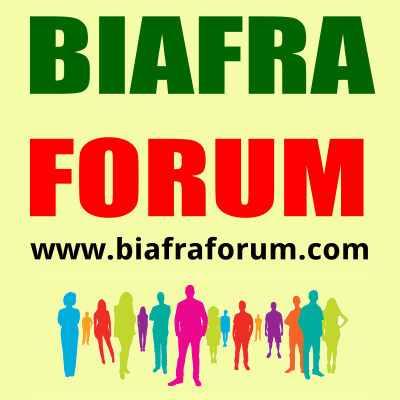 The group known as Movement for the Actualization of the Sovereign State of Biafra (MASSOB) had spearheaded these protests. Various Nigerian administrations before the advent of the present one in 2015 had used mostly the incarceration of the leaders of the movement in trying to deal with and suppress it. MASSOB’s former leader Ralph Uwazurike suffered many jail times in Nigerian prisons. Sometimes the MASSOB leader was detained for many years at a time. Apart from many of the agitators who are being killed extra-judicially by government forces there are some notable individuals who are being held in various Nigerian prisons just because they are agitating for Biafra’s independence. Some were snatched off the streets into prisons for merely wearing vests with Biafran insignia or just being in possession of Biafran flags. There are such people like Benjamin Onwuka the leader of Biafra Zionist Movement (BZM,) Chidiebere Onwudiwe whose home was invaded by Nigerian security agents in the middle of the night. He was taken away from his house at 2 AM and has not been heard from again since the last one year. Then there is Nnamudi Kanu who runs an online radio called Radio Biafra London (RBL.) These individuals except for Onwudiwe whose fate is yet to be known, can be described as almost lucky because Buhari’s government has not yet executed them and their cases have been celebrated because of the relatively wide media publicity they have attracted. But there are many unsung pro-Biafra agitator-victims who are not as lucky. They are currently suffering various kinds of persecutions in many detention centers around the world. Some of these less known victims are being prosecuted in different courts of law in many places around the world simply because they demonstrated publicly for the independence of Biafra. These people are being deprived of their freedom or are being subjected to other forms of hardships and inhumane treatments because of their involvement in Biafran freedom activism. Over the years many critics have complained that the Nigerian government has used some unorthodox diplomatic manipulations to influence how some foreign government agencies carry out their duties in its effort to suppress Biafra’s independence and hide the Biafran Genocide. Since the time of Biafra War till now, Nigeria has deployed its diplomatic tentacles across the world to make sure that those who agitate for Biafra anywhere are suppressed. We will cite two little known examples of those who are going through persecutions in so-called civilized societies like European countries of Norway and England. 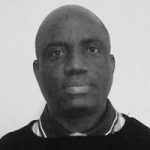 Lotachukwu Okorie used to serve as MASSOB’s District Officer in southeast Nigeria before he emigrated to Norway, fleeing from persecution by Nigerian government authorities. On getting to Norway, a civilized society, he believed that his problems were over and his human rights would be protected. Unfortunately, he discovered that they had only just begun. In what looked like a remotely influenced operation the Norwegian government detained Okorie and charged him with illegal immigration crime. He was then detained for one year and six months without any conclusive decision on his case. According to Norwegian laws he overstayed in jail the period he was legally supposed to. Just before he was arrested, Okorie was so frustrated by the various dehumanizing treatments he was receiving from Norwegian security agents that he was driven to attempt suicide with a kitchen knife. Another case which is fast becoming a source of embarrassment to the British government is that of Yahgozie Immanu-el victim of political persecution by British authorities that apparently are trying hard to please Nigerian government which it is believed are tele-guiding and influencing the current ordeals of Yahgozie. It appears that the British government is willing to compromise their country’s very reputable centuries-old national respect for the fundamental human and civil rights of all people simply to please the Nigerian government. Yahgozie is an independent journalist as well as a pro-Biafra activist who is based in London. He got arrested by the British police while he covered the recent official visit to Britain by the Nigerian President Buhari. He was subsequently taken to court on frivolous and trumped up charges that he was trying to attack President Buhari’s motorcade. Some eyewitnesses of the incident are still unable to understand how the actions of someone who only had a microphone and was trying to cover the unfolding events could have been interpreted as an intention to attack President Buhari. Yahgozie’s case comes up again in the City of London Magistrates Court later in this month of November. Many people think that the case is actually turning into an embarrassment to the human rights image of the British government.